PREMIER IS OPEN TO THE PUBLIC! State of the art ventilation system that continually purifies the air in the range, ensuring lowest possible lead contamination Combat walls in our tactical bay, giving our shooters the ability to shoot 180 degrees. 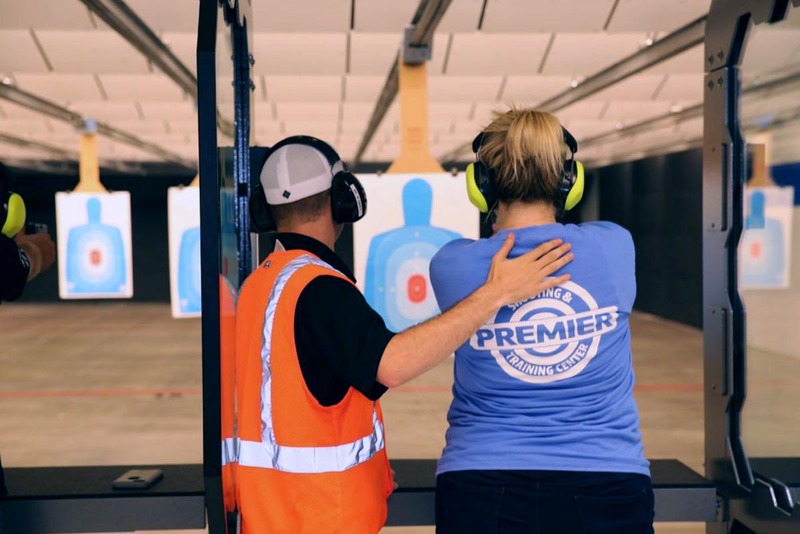 Although Premier is entirely open to the public, becoming a member comes with some pretty fantastic benefits – check them all out and choose the plan that best meets your needs by visiting the Memberships page, now. All range commands must be followed immediately. When hearing the command “cease fire” immediately stop shooting, place the firearm on the bench pointed down range and step back away from the firing line. Children (under 18) must be accompanied and supervised by a parent or guardian at all times. Children must be tall enough to safely shoot over the bench in the shooting stall. Must be 21 or older to rent or purchase a firearm. Do not shoot the floor, ceiling, or walls of the range. Firearms for range usage are handguns up to .50 caliber, rifles up to 7.62/308 and shotguns with 00 Buck or single projectiles (slugs), NO pistol grip only shotguns or firing from the hip is permitted. Tracer, armor piercing, and steel core ammunition are not allowed on the range. Range staff has the right to inspect and prohibit any ammunition they deem as inappropriate for the range. There will be no more than two shooters per shooting stall unless authorized by a Range Safety Officer.